Denver began as a mining town in 1858 with a whisper that gold had been found in the Rocky Mountains. Prospectors and fortune-hunters set up tents and shacks on the banks of the Platte river, and in their wake came entrepreneurs—gamblers, prostitutes, and saloonkeepers—ready to help “mine” the miners of whatever they might find. 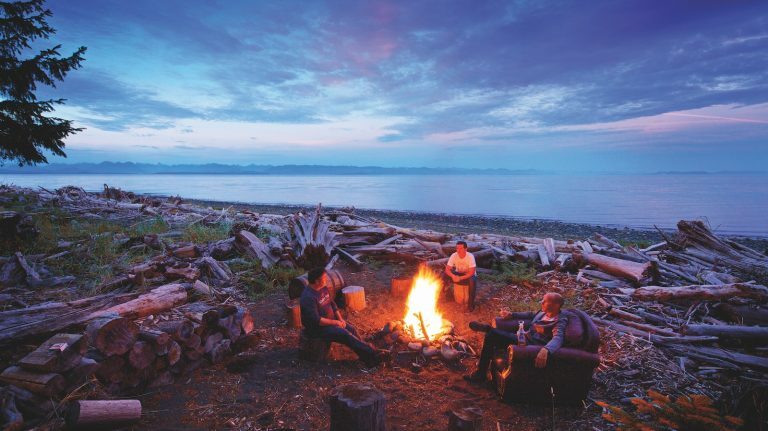 Though not much gold was found, there was plenty of whiskey to help wash away their troubles. 160 years later, Denver is one of the fastest growing cities in the United States and the residents have not lost their taste for whiskey and other spirits. Craft distilleries are opening at a remarkable rate; the recently launched Colorado Spirits Trail includes more than 50 distillers around the state creating a wide variety of spirits, from whiskey to brandy. Denver alone has nine distilleries as of August 2018, plus several more in the greater metro area. Whiskey especially is booming, from straight bourbon and rye to single malt and moonshine. Many distilleries credit the snowmelt from the Rocky Mountains for the exceptional taste; others cite the mountain climate’s impact on maturation. No matter the reason, Denver has clearly become a whiskey powerhouse. Check out these craft distilleries in the Mile High City. 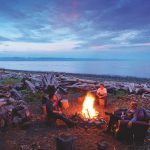 Bear Creek Distillery was started in 2013 by three friends, Jay Johnson, Jeff Dickinson, and “dbo” Baker, who say they were tired of being grownups and wanted to try something different. Nowadays, the distillery creates a wide variety of spirits, including the flagship straight bourbon, wheated bourbon, rye whiskey, wheat whiskey, and white whiskey. The straight bourbon is matured in full size (53-gallon) barrels for a minimum of 2 years. The wheated bourbon, which uses 3-gallon barrels, replaces dark rye in the mashbill with whole wheat. The rye and wheat whiskies are distilled from 100% organic rye and wheat, respectively, and also mature in 30-gallon barrels before being proofed down. Visit the modern tasting room in the Platt Park neighborhood and it’s clear that the focal point (and background for many social media posts) is the illuminated display of bottles behind the bar. The creative cocktail menu presents each spirit in a variety of drinks, from sweet to smoky to spicy. Bear Creek is open Tuesday to Thursday from 4 p.m.-10 p.m., Friday and Saturday from 2 p.m.-10 p.m., and Sunday from 2 p.m.-8 p.m. Tours cost $10 and are available on Saturdays and Sundays at 3:30, 4:30, and 5:30 p.m. with advance reservations. Though Denver Distillery is new to the city’s distilling scene (it opened in January 2018), the space that it occupies on Broadway is anything but. The tasting room is cozy and welcoming, with architectural elements like the original brick walls and patent medicine bottles unearthed during the basement excavation on display. Belly up and sample some moonshines, Lemon Lime Sweet-Feed Shine and Apple Pie. The Lemon Lime is double-distilled in a copper pot still using a four-grain bourbon mashbill and organic sucanat sugar; lemons and limes are added to the thump keg during distillation, imparting a hint of citrus. The Apple Pie is cut with cider instead of water—perfect for sipping on snowy afternoon. Denver Distillery also offers gin; silver, dark, and navy strength spiced rum; and kiwi-strawberry, pumpkin, and coffee liqueurs. Head distillery Chad Peters is currently aging a bourbon and an applewood-smoked rye, both expected to debut in summer 2019. Denver Distillery is open Tuesday to Thursday from 2 p.m.-10 p.m., Friday from 2 p.m.-2 a.m., Saturday from noon-2 a.m., and Sunday from noon-8 p.m. Free tours are available; call 720-381-3226 to schedule. The founder of Laws Whiskey House, Alan Laws, started distilling in 2011 but didn’t bottle his first whiskey until 2014, setting the standard for aging that remains one of the hallmarks of the distillery. Using open-air fermentation, Laws mills, cooks, ferments, distills, and ages each batch of whiskey on-site using only Colorado-sourced ingredients. The Platt Park distillery’s exterior is unassuming, but schedule a tour and you’ll receive a full education on the whiskey-making process at Laws, like how the barley, wheat, and rye in the Four Grain Straight Bourbon are carefully combined to accentuate the corn base, creating a complex final whiskey. 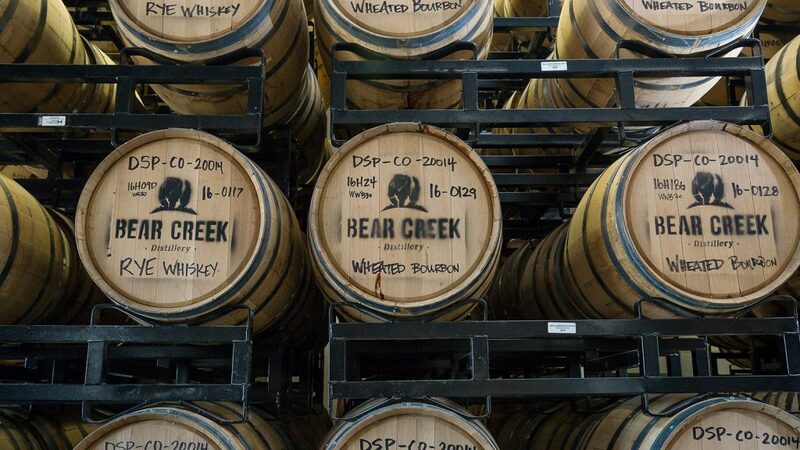 Both Laws and Bear Creek participated in the second annual Colorado Whiskey Collaboration Project, which took place June 4, 2018. Seven Colorado distilleries created a wheat whiskey in their home facilities without using any specialty malts, then combined the different distillates and collectively filled a 53-gallon barrel from Independent Stave Company. The barrel will be stored at Laws for two years, after which the whiskey will be brought to proof and bottled. The yield—estimated at about 900 bottles—will be donated to local charities to be auctioned off as fundraisers. The collaborators plan to create additional new whiskeys annually. 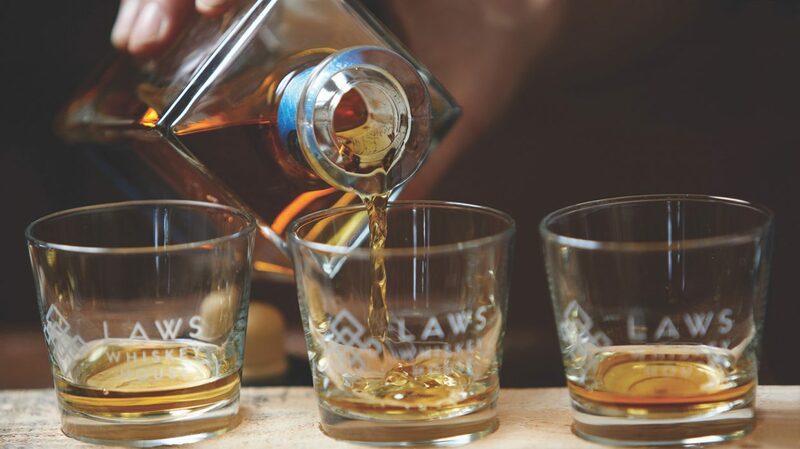 Laws Whiskey House is open for tours and bottle purchases on Wednesdays and Thursdays from 5 p.m.-9 p.m., Fridays from 2:30 p.m.-8 p.m., Saturday from 1 p.m.-6:30 p.m., and Sundays from 2 p.m. -5 p.m. Enjoy a flight of three different whiskeys for $10 on Thursdays, no booking required. 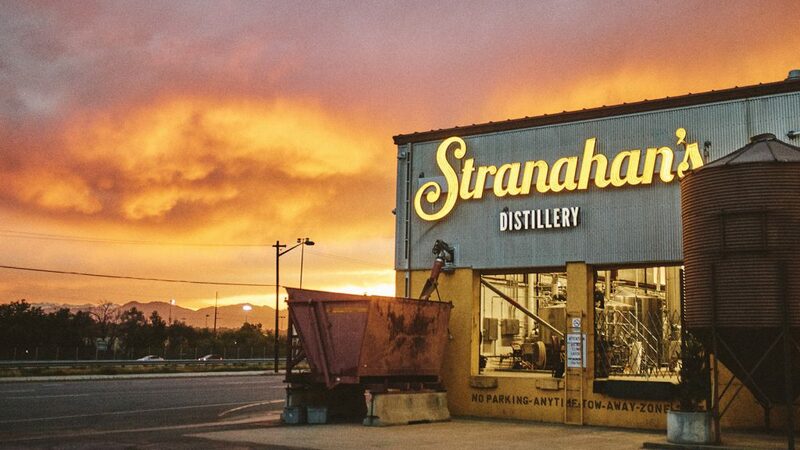 In a classic case of “good coming from bad,” Stranahan’s single malt whiskey was born from a fire. Volunteer firefighter Jess Graber met brewery owner George Stranahan when his barn was burning. Though the barn was lost, the two discovered a shared passion for whiskey and brewed up a plan for Colorado’s first microdistillery, which opened in 2004. Stranahan’s is often credited with the rise of Rocky Mountain whiskey and although the company was bought by Proximo Spirits in 2010, the single malt whiskey is still created in small batches in Denver by master distiller Rob Dietrich. Stranahan’s produces five different types of single malt, including Snowflake, which is released—and sells out—one day each December. The most popular whiskey is the original single malt, cut to proof with Rocky Mountain water. Taking a tour is a great way to sample the different offerings, as is visiting the lounge for a cocktail. 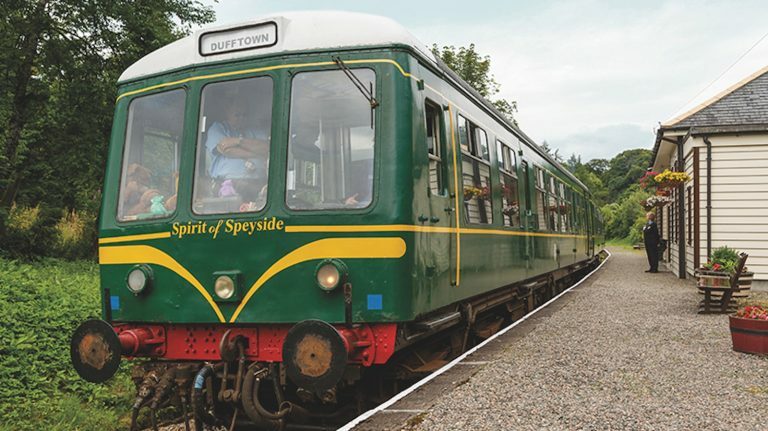 Tours take place Thursday-Monday at the top of every hour from 1 p.m.-7 p.m. The lounge is open Thursday-Monday, noon-9 p.m. Opened in November 2017, The Family Jones is the first distillery-restaurant in Denver. 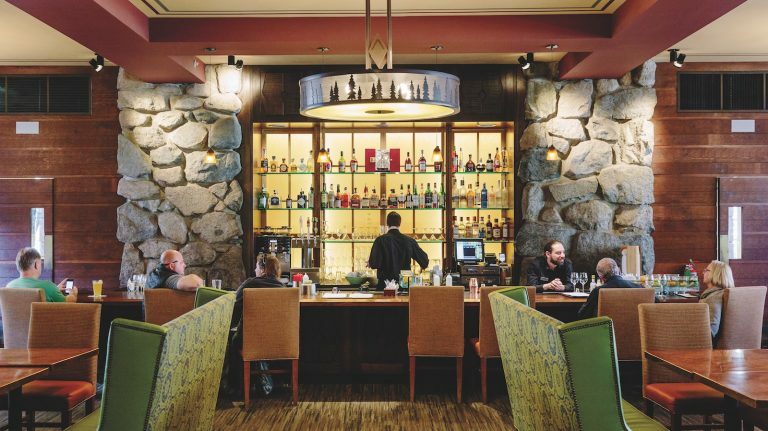 Though the main production facility is located in Loveland, a smaller distilling system creates a focal point above the sunken bar at the Denver space. This diminutive system is capable of making five to six bottles at a time, which allows the team to experiment with new recipes fairly quickly. The Family Jones serves a variety of creative cocktails, all using spirits that are made in-house. The lineup currently includes vodka, gin, rum, and two “stop-gap” whiskeys, a bourbon and a rye. Purchased from outside makers (Tennessee for the bourbon, Ohio for the rye) with head distiller Rob Masters providing input on the blends, The Family Jones will sell these whiskeys until its house-made versions are sufficiently aged. This trendy spot is located in the heart of the Lower Highlands neighborhood (LoHi), just steps from other popular watering holes like Avanti, Root Down and …there, which makes it an excellent starting point for a night out or a destination for one last drink before heading home. Hours are 4 p.m.-10 p.m. Tuesday-Thursday, 4 p.m.-midnight Friday, noon-midnight Saturday, and 4 p.m.-10 p.m. on Sunday. Tours take place on Saturdays at 1, 2 and 3 p.m for $10, with a tasting included. Reservations are recommended. The small distilling system at The Family Jones, a combination distillery-bar, can make five to six bottles at a time, which allows the team to experiment with new recipes quickly. 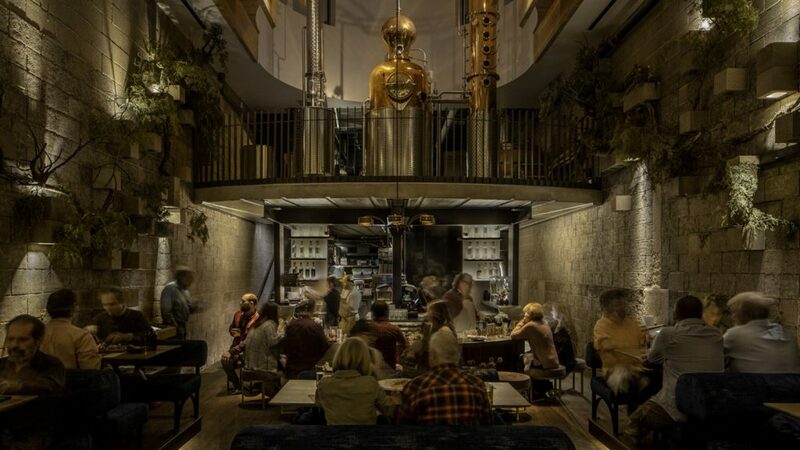 Located in a unique mixed-use space decorated with global accents in LoHi, just a few blocks from a plethora of popular restaurants, Mythology Distillery opened in July 2018 with vodka, gin, rum, and Hell Bear, an American whiskey that‘s a blend of straight bourbon and straight rye. In order to offer whiskey upon opening, head distiller Scott Coburn—who formerly worked at Utah’s High West Distillery—is sourcing whiskey and creating a proprietary blend with rye and two older bourbons. Mythology Distillery is open from 4 p.m.-midnight Tuesday – Friday and 11 a.m.-midnight on Saturday and Sunday. Visit Mile High Spirits on a Friday or Saturday evening and the line between a bumping nightclub and craft distillery becomes very blurry (and it has nothing to do with the drinks). Located in the heart of downtown Denver, just a few blocks from Coors Field and its surrounding bars, Mile High Spirits transforms from a laid-back lounge featuring small-batch spirits during the week to a live-music and dance venue on the weekends, making it a destination for discerning palates and party animals alike. Master distiller Tyler Joyce crafts whiskey, gin, vodka, tequila, and rum, and the lounge serves a wide variety of house-infused versions as well. The Fireside Bourbon, made with a proprietary yeast, has a sweet, slightly smoky flavor, well-suited for an Old Fashioned. After a peach-infused version of the bourbon proved popular in the tasting room, Mile High began offering it in bottles as well. Founders Robbie Adams and Kallyn Peterson, both Colorado natives, dreamed up the concept of Ironton Distillery & Crafthouse a few years ago, with plans to open in July 2018. The pair want to honor the adventurous spirit of Colorado by crafting a variety of small-batch spirits with many locally sourced ingredients (including some from their own garden) and pure Rocky Mountain water using both traditional and experimental methods. Ironton serves vodka, gin, genever, aquavit, rum, and a variety of liqueurs and bitters in their RiNo location. The whiskeys—which include rye, bourbon, smoked single malt, and a wheat whiskey created in collaboration with Blue Moon Brewing called Iron Moon—will be released at a later date. Ironton is open Monday-Thursday from 3 p.m.-10 p.m., Friday-Saturday noon-midnight, and Sunday noon-10 p.m.
A visit to Leopold Bros., named for co-founders Scott and Todd Leopold, is an education in distilling. This independently owned and operated family distillery does all its malting, milling, mashing, fermenting, distilling, aging, and bottling on-site, using eight stills in seven different styles, including the world’s only operating three-chamber still to make Old Monongahela-style rye. The list of libations created here is extensive, with nine different types of liqueurs, absinthe, an aperitivo, vodka, gins, and seven different whiskeys. Two traditional types of whiskey, American Small Batch whiskey and Maryland-Style rye, are created with reverence for pre-Prohibition standards, barreling at 98 proof (well below typical barreling proofs) to help develop the flavors. While it is aging many other whiskeys, Leopold Bros. also offers fruit-flavored whiskeys, glowing in jewel tones from the New York apples, Michigan cherries, Palisade and Georgia peaches, and Rocky Mountain blackberries that are blended with the whiskey. The resulting spirits are rich and complex, maintaining the character of the fruit while drawing out the essence of the whiskey. Although Leopold Bros. Distillery is a bit of a haul from downtown Denver, it’s worth the drive to experience the tour and absorb the wealth of knowledge about old-world fermentation techniques and Colorado terroir while sipping on whiskey. The tasting room is open for retail purchases Wednesday noon-4 p.m., Thursday-Friday 1 p.m.-5 p.m., and Saturday from noon-5 p.m. A flight with your choice of five samples is available for $5. 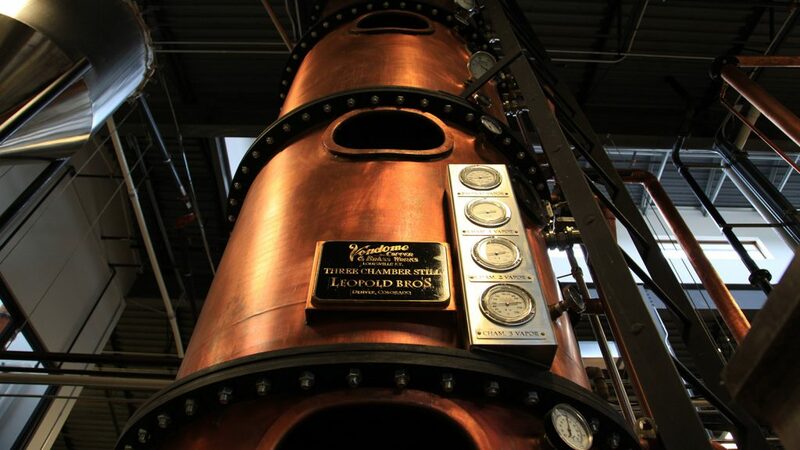 Golden Moon Distillery is steeped in history. Stephen Gould and Karen Knight started the business in early 2008 with the idea to utilize artisan production practices from the 19th century to create premium hand-crafted herbal liquors and liqueurs. Using four antique stills dating from the early to mid-1900s, Golden Moon draws on recipes that are centuries old to make gin and absinthe, as well as crème de violette and the bitter liqueur known as Amer dit Picon (a key ingredient in the Brooklyn, a classic whiskey cocktail). Golden Moon also applies classic techniques to its whiskey. The Colorado single malt is distilled from 100% malted barley and aged in new oak casks before being finished in used barrels. The Gun Fighter American rye and American bourbon are both double-casked, starting the aging process in new American oak barrels before being finished in French port barrels. The distillery is located on the outskirts of Golden and is worth a visit just to get a glimpse of the antique stills. 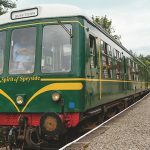 Its Speakeasy is situated in the heart of Golden and is an excellent location for sampling a flight of the spirits or enjoying a fascinating cocktails. In September 2018, Golden Moon announced plans to expand the distillery at its current location, and to move the Speakeasy from 1111 Miner’s Alley to 1111 Washington Street by the spring of 2019. Golden Moon Distillery’s tasting room is open Wednesday-Saturday, 10 a.m.-4 p.m. or by appointment. The Golden Moon Speakeasy is open Sunday-Wednesday 4 p.m.-10 p.m. and Thursday-Saturday 4 p.m.-midnight. Stroll into State 38’s tasting room and you’ll notice an interesting contraption that looks like something Dr. Frankenstein might have created if he took up distilling. It is actually the original still that owner Sean Smiley used for illegally making spirits in his dorm room at the University of Colorado, comprised of a copper column, tubes, and a 32-gallon quart pot from Home Depot and a salad bowl from Bed, Bath and Beyond. Smiley has left his moonshining days behind, and today State 38 is a boutique distillery that creates agave spirits, vodka, gin, and whiskey—using real stills. The lineup includes D.C. Loveday bourbon and W.I. McKenzie Scottish peat-smoked whisky, made with grains sourced from Islay.. Both the bourbon and whiskey use grain that is hand-milled and fermented in 250- gallon tanks before being double-distilled. While it’s aging, the bourbon is treated to the sounds of Pink Floyd; the vibrations created by the soundwaves are meant to cause more interaction between the whiskey and the barrel. State 38 is open Tuesday -Saturday 4 p.m.-6 p.m. Currently, Mad Rabbit pours three versions of its Bravo Zulu bourbon at 4, 6, and 7 years old. Although owner and distiller Paul Page opened Mad Rabbit two years ago, he’s transparent about the fact that he partnered with another, undisclosed craft distillery to produce his bourbon recipe before then. In addition to bourbon, Mad Rabbit offers the 46% ABV Light Rye Malt whiskey, which Page distilled, and the popular Master’s Program: a canned cocktail with bourbon, lime, and ginger ale. Mad Rabbit is open Monday-Wednesday 3 p.m.-8 p.m., Thursday 3 p.m.-10 p.m., Friday and Saturday 1 p.m.-10 p.m., and Sunday 1 p.m.-8 p.m. Tours are $20 and are offered on Saturdays and Sundays at 4 p.m. and 5 p.m.
Just down the road from Mad Rabbit, Whistling Hare (named for one of Colorado’s favorite squeaking creatures, the pika), is a small-batch, grain-to-glass distillery that creates a Colorado blue corn bourbon in addition to two types of rum, gin, and vodka. Opened in 2015 by Laura and Howard Tuthill, Whistling Hare changed ownership in 2017 and the two Sandys (owner/distiller Sandy Rothe and distiller/manager Sandy Harrison) took the reins. Take a tour of the setup and you’ll see racks of bourbon barrels patiently maturing. Currently, Whistling Hare offers a 2 year old corn bourbon whose mashbill is 60% blue corn and 40% yellow corn; the flavors meld perfectly to make a classic Old Fashioned. Whistling Hare’s next release is made with a combination of blue corn from Cortez, Colorado, rye, and purple barley. The blue corn imparts less sweetness than its yellow cousin and is more dynamic, according to Harrison, while the purple barley gives a darker and nuttier flavor. All of Whistling Hare’s bourbons are aged for a minimum of two years, and various iterations of the blue corn bourbon will be appearing as the distillers play with older barrels and blend new concoctions. There’s even a barrel of 100% rye that will eventually be released. Whistling Hare is open Thursday 3 p.m. -9 p.m., Friday 3 p.m.-10 p.m., Saturday noon-10 p.m., and Sunday noon-6 p.m. Tours are available by appointment—sign up on the website. Littleton’s first and only distillery, Rocker Spirits has made its mark in the local spirits scene, not least of all for its distinctive “rocking” bottle design, inspired by an old oil can. Head to the tasting room, located in a converted garage, and bask in the automotive industrial chic design while sipping on a craft cocktail. 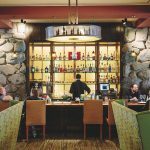 Opened in 2016, Rocker purchased barrels of whiskey, rum, and vodka from distilleries in Missouri and Minnesota to tide things over until their own spirits finish aging. Rocker Whiskey uses a 70% corn and 30% wheat mashbill, aged for a minimum of three years in American oak barrels and bottled at 48% ABV. The result is a sweeter whiskey, big on caramel and butterscotch with a bit of oak on the finish. Rocker’s Port Finished bourbon also has a heavily wheated mashbill and presents flavors of pepper and bittersweet chocolate. The Rocker Spirits distillery and whiskey bar is open Wednesday-Saturday 5 p.m.-11 p.m. and Sunday 11 a.m.-5 p.m.